Want to get paid to eat free meals for three weeks, all while doing your patriotic duty of helping the American military? The Army Research Institute of Environmental Medicine’s military nutrition division is currently looking for volunteers to help with its ongoing study of MREs—or Meals, Ready-to-Eat. Yes, it’s not the most exciting meal plan, but it’s almost certainly a more comfortable way to help out the Army than enlisting. According to the Army Times, at the heart of this latest research is a topic that has been hot in many nutrition circles: gut health. “There's a lot of interesting and new research looking at gut bacteria, and how those gut bacteria interact with the human body,” said study head Dr. J. Philip Karl. 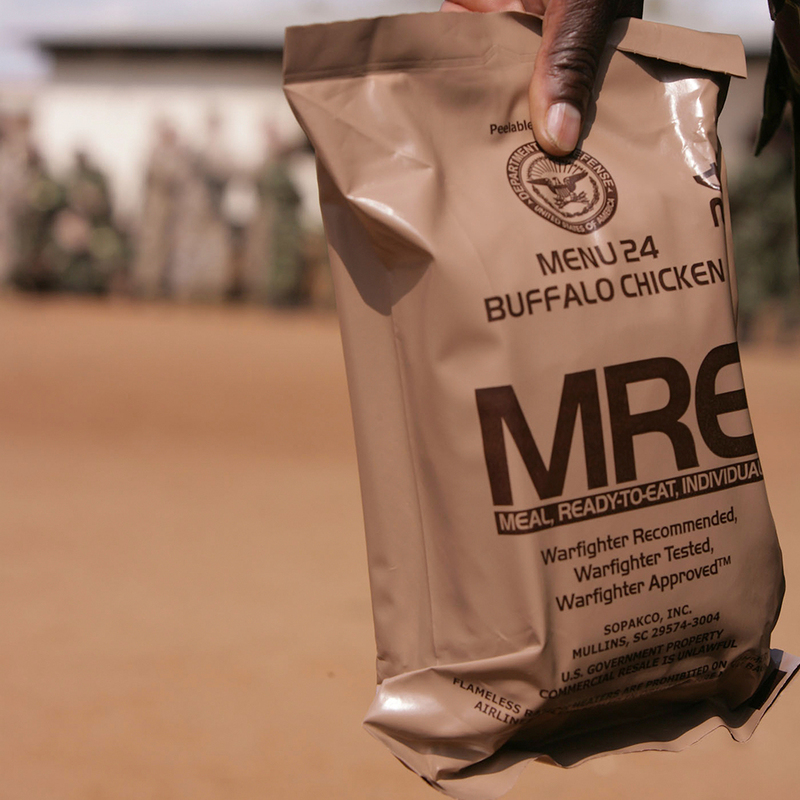 His team is interested in learning what bacteria fuel might be currently lacking in troops’ MRE rations. “Research will give us some idea of what we think will work, we'll go and test to make sure it's doing what I think it's doing, and at that point it starts to get incorporated into the rations.” Beyond simply making the MREs healthier, Karl also suggests that strengthening gut bacteria could help ward off other digestive problems when troops eat the local food in far-off war zones as well. Predictably, eating like a soldier isn’t necessarily a fun endeavor. Study participants must agree to go without anything but MREs, water and black coffee for three weeks—that includes no alcohol, the Army Times stresses (the paper knows how you think). And knowing that living off prepackaged Army meals isn’t everyone’s cup of tea, the military has even created a recipe book to help spruce the MREs up. For their trouble, volunteers are eligible for up to $200 in compensation. It raises the question: You have a $600 billion budget and that’s the best you can do, military? I guess no one said being a patriot was lucrative.